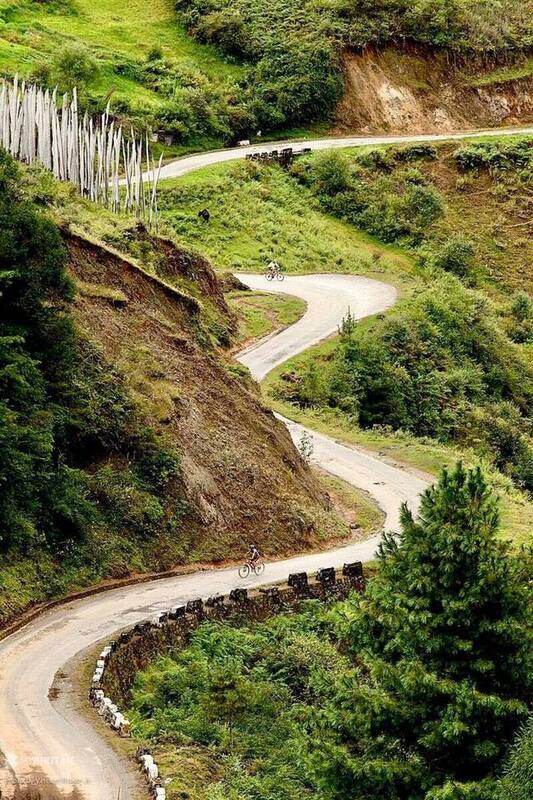 This 7-day bike tour encompasses the easier end of cycling in the Bhutan. There is one 16km pass to cycle and one very long and thrilling descent to enjoy, as well as some flatter rides to even things out. As with every bike tour our support vehicle is on hand at all times in case you need a lift up a hill. Between cycles we'll enjoy the sights, cuisine and cultural attractions this fascinating country has to offer. If you are looking to combine this bike tour with a trek or other travel plans in Bhutan let us know and we can help with onward arrangements and bookings. On arrival at Paro airport you will be met and transferred to our hotel. For those who have the energy and are not jet lagged we take a little time in the afternoon to see some of the sights of Paro. This includes a visit Paro Dzong and other near by attractions. Paro sits at a height of 2200m so we take it easy today and do a short ride to get used to the altitude, warm up the legs, get used to the bikes and see a little more of Paro Valley. Visit a ruined dzong, visit a farmer's house and a stroll in town on this relaxing day out. Today it's time to leave Paro and begin the ride across Bhutan. This first point to point ride is the easiest; we describe this day as 'flat' as you will only be riding between 2100m and 2350m throughout, although the road does undulate and there are actually no flat roads! In the afternoon take a leisurely walk through the Thimphu Market area and explore the forbidding yet elegant dzong. The first pass of the trip, Dochu La, sits at 3050m and offers a panoramic view of the Eastern Himalaya on a clear day. After a long ride up to the pass a downhill is due which will take you 40km all the way down to the intriguing 'fertility temple'. 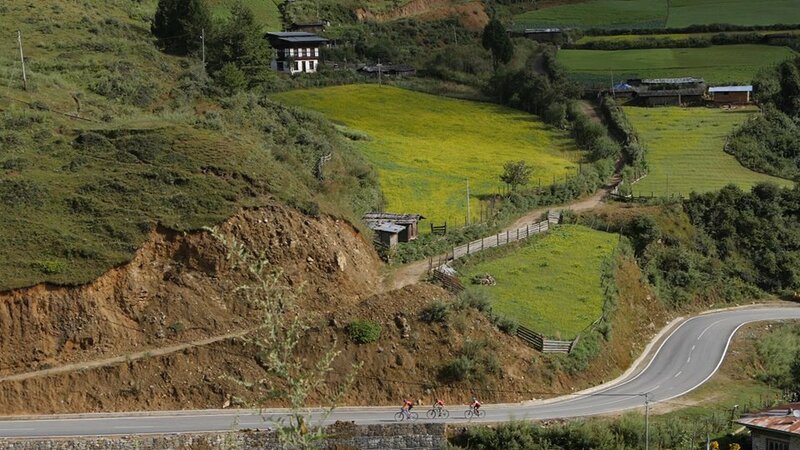 The final section undulates along the valley to our overnight stop at Punakha which sits at a lowly altitude of 1350m. We take a day to explore the beautifully situated dzong at Punakha, once the summer capital of Bhutan, riding a back road that is largely unsealed, offering great views of the river and dzong. Before reaching the dzong we cross an exhilarating, suspension footbridge (the feeling depends on your perspective). This is the longest and highest suspension footbridge in the country stretching over 200m above the Pho River. After a picnic by the tranquil riverside of Punakha, we drive the route back to Paro to recharge ahead of the hike to the Tigers Nest. This morning we trek up to one of Bhutan's most venerated places, the Tiger's Nest Monastery, which is precariously perched on the side of a cliff 900m above the Paro Valley floor. This site has been recognized as one of the most spiritual sites in Bhutan and many eminent saints have meditated in this area. ​The tour ends after breakfast and check-out with a transfer to Paro Airport in time for your departing flight.